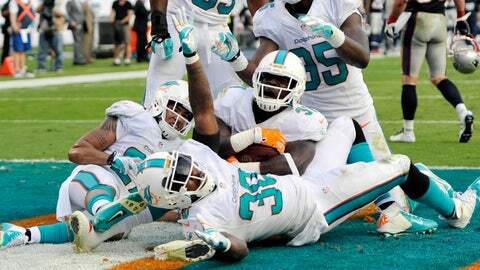 With their win over the Patriots on Sunday, the Dolphins kept alive their hopes for the final wild-card spot. "This is just another step in the process," said Tannehill, whose 23 touchdown passes are the most in a season by a Dolphins QB other than Dan Marino. "Obviously, it feels good. It feel good to beat a division team. But we have big things ahead of us." 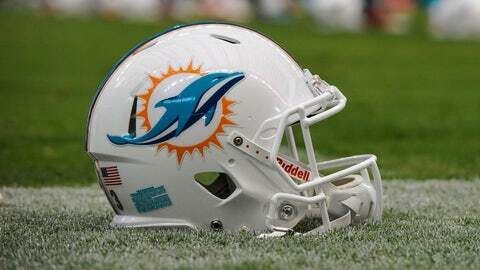 See what dominoes need to fall for the Dolphins to clinch a playoff berth in Week 16. "They were ready to bury us a few weeks ago, so we don’t want anyone on our side," receiver Mike Wallace said. "It’s us against the world." "We’re fighters, we’ve been through a lot," Tannehill said. "The guys are tough in there, and can handle anything on the field." "This is coming together at a good time," tackle Bryant McKinnie said, "because you know December is when you want to be playing your best ball." "After everything I’ve been through, I just feel really blest to have the opportunity to come out here today and the way it ended today, it was overwhelming," said Thomas, who admitted he cried on the sideline and in the tunnel heading to the locker room. "We can’t rely on the Ravens. We have to just do what we have to do to try and control our own destiny the best we can," said McKinnie, acquired from the Ravens in late-October. "We can’t sit around waiting for someone to lose, we have to win." Charlie McCarthy can be reached at mac1763@bellsouth.net.